The number of simultaneous touch points depends on the particular touch hardware that you’re using. To quickly check what is supported on the machine that you’re using, bring up the System applet in Control Panel. (Control Panel | System and Security | System, or just type “System” in Windows 7 or Windows 8 search. 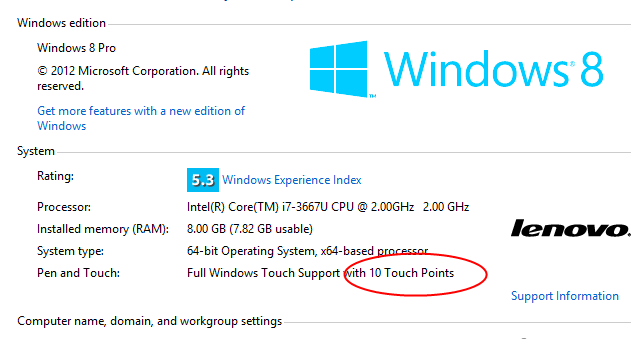 The maximum number of simultaneous touch points is listed in the middle of the window, labeled Pen and Touch.